14 uncut theatrical popeye shorts coming to blu ray! Presenting POPEYE THE SAILOR: The 1940s Vol. 1 (Warner Archive Collection) Street Date: 12/11/18. The website to pre-order is now up: Order the $21.99 blu ray here – and/or the 19.99 DVD here. I highly recommend this set – I think you will be pleased. The frame grabs below were snapped off my living room flat screen by my iPhone, off the blu-ray. If this looks good to you – I ask that you pre-order, or order it in December. 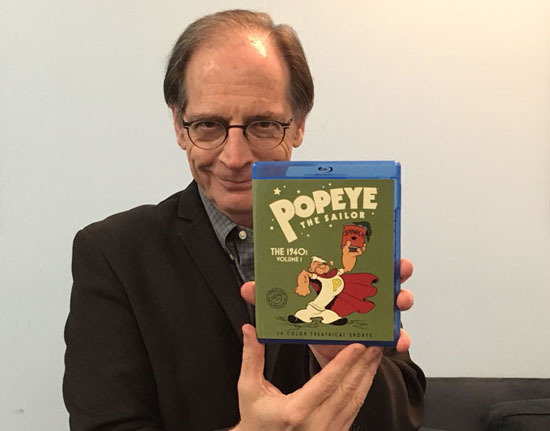 Let’s prove to Warner Bros. that we want further volumes of Popeye 1940s and 1950s – and we want more Warner and MGM cartoons restored and released. It’s seriously up to you. I'm going to buy this because I want to see vol 2,3,&4 so we have more of these in fully uncut in best quality possible! Re: 14 uncut theatrical popeye shorts coming to blu ray! 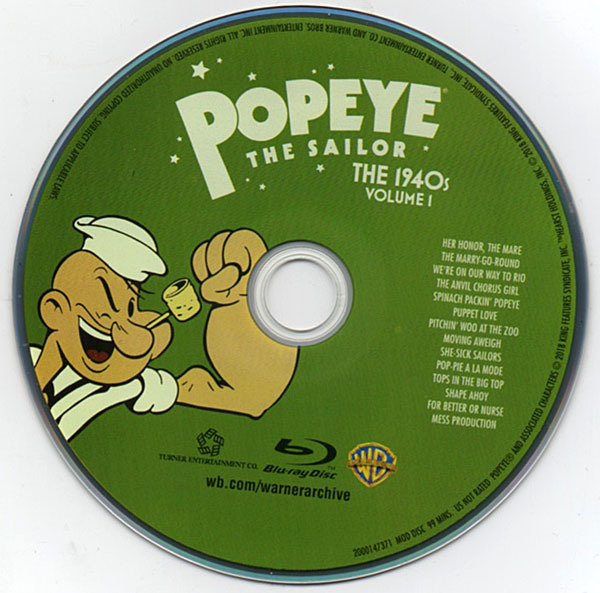 There have been DVD releases of black and white Popeye shorts. To me that reads "you are about to enjoy cartoons made before political correctness ravaged and destroyed America"
Comparison between the TV broadcast and the blu!